I’ll be honest, I’m a book cover whore. The new edition of this classic is outstanding and calling to my inner book cover obsession! I love the colorful and attractive cover which simply screams READ ME! 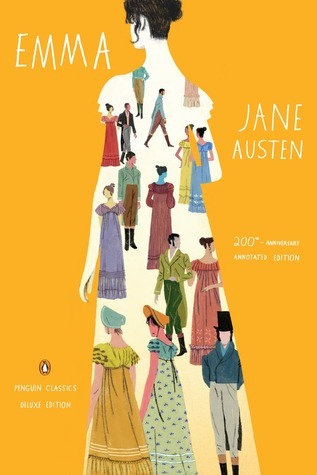 I am thrilled to be offering this PENGUIN CLASSICS DELUXE EDITION of the Jane Austen novel, EMMA! Thanks to the publisher I am thrilled to be able to offer a giveaway copy for your reading pleasure! Be sure to check out details about this edition at the end of the post here and be watching for my review of the book next month! Winners will be announced 10/12/15. Emma love it this edition looks lij va real treasure. I totally agree, this cover is something special. I’d really like to win a copy of the book. I love all the Penguin Classics Deluxe Editions. They are absolutely gorgeous. I wish they would do it to all their classics.